Sobald der Film fertig ist, erhätst Du via Email Deinen Zugang zum Download. T-shirts, pullovers, bags and much more with your individual Relovution design! For a short time everything reduced by 15%! Since it is impossible for us to produce so many different shirts ourselves at the moment, we have designed our own shop with the help of Spreadshirt. Spreadshirt has been on the market for a long time and offers reliable products with high quality. You'll find many styles featuring CircleWay motifs alongside new designs bringing awareness into the world. You can have these printed on different colors, sizes and different materials (also organic). With every purchase you support the work on our project! AND our partners offer you a 15% discount in the first 2 weeks of the opening. 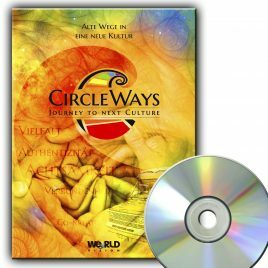 CircleWays - Journey to Next Culture (pre-order) Are there alternatives to social solitude in our modern culture? Are there other ways in which we can come together as human beings? Is it possible to align our coexistence and togetherness with values such as connectedness, mindfulness and co-creativity? We have set out across Europe to find answers. We learnt from ancient wisdom of indigenous peoples as well as from modern knowledge of psychology, neurobiology and experimental community laboratories. This film is (not) a documentary, but a way of living. A journey along ancient paths into a new culture. 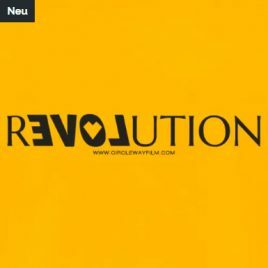 Charles Eisenstein, Manitonquat, Gerald Hüther, Clinton Callahan, Gabriele Seils, Barbara Strauch and many more. Includes 4 workshops of Supportive Listening by Manitonquat and Ellika. Playtime: approx. 86 minutes + more than 3 hours of workshops Format: mp4 As soon as the film is finished, you will receive a dowload link via e-mail. 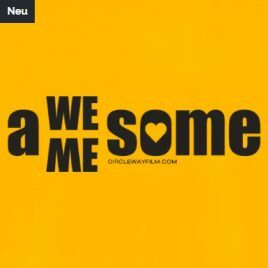 T-shirts, pullovers, bags and much more with your individual Awesome Design! For a short time everything reduced by 15%! Since it is impossible for us to produce so many different shirts ourselves at the moment, we have designed our own shop with the help of Spreadshirt. Spreadshirt has been on the market for a long time and offers reliable products with high quality. You'll find many styles featuring CircleWay motifs alongside new designs bringing awareness into the world. You can have these printed on different colors, sizes and different materials (also organic). With every purchase you support the work on our project! AND our partners offer you a 15% discount in the first 2 weeks of the opening.